"We are looking forward to attending the conference again this year. 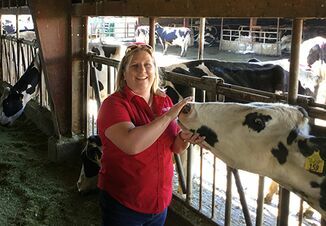 Each year we take new tidbits of information back home to make our operations better," says Daphne Holterman, of Rosy-Lane Holsteins, Watertown, Wis. "I like DCHA because we're all committed to calves and all have a passion for calves. 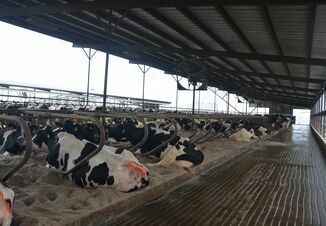 Last year's conference drew more than 500 dairy calf and heifer raisers from 27 states and 10 countries, representing more than 1 million cattle. Farmer-consumer relationships, Stan Erwine, Dairy Management, Inc.
To experience these great networking possibilities, register soon. You can do so online at calfandheifer.org under the "Conference" tab. Want to increase your exposure among top-notch calf and heifer raisers? The 2017 conference sponsorships have been specially designed to provide visibility and access to target audiences. Created to help increase exposure at this one-of-a-kind event, there are opportunities for every budget. Learn more: http://bit.ly/2g0fiWt. For more information about the 2017 DCHA Conference or to become a member visit www.calfandheifer.org, call (855) 400-3242 or email info@calfandheifer.org.